So, here we are, almost February. The year is well underway and I am happy to say that at least from our vantage point here, it seems to be getting off to a good start. Classes are several weeks in and I’m splitting my time between one rather challenging Translation Studies course (MA level, in Icelandic), an ÍSL (Íslenska sem annað mál, or Icelandic as a Second Language) course which focuses on learning how to write like an adult (thank the lord), and a couple literature classes (including one MA class on Scottish Women’s lit—great so far) which are really just for my own edification and allow me to enjoy the opportunity of like, being in college again and just studying for fun (whoo!). And full disclosure to this academic adventuring: the side benefit of the literature classes is that they are taught in English, thereby removing some of the second-language pressure and allowing me to focus the majority of my attention on the translation class. With homework out of the way for a few months and just the one job to focus on (which, wow, is WONDROUS), I’ve been reading, coffee-dating, taking a lot of long walks, eating ice cream, hosting elaborate potluck parties, and getting started on a project which I was encouraged to jump into a few months ago by a very encouraging translator friend. Namely, this summer, I am going to work on my first Icelandic translation. My friend is a very kind man and maybe has more faith in my skills than I do—he suggested that I start right off working on a novel. And while I did pick up some novels that looked like they could be promising, I ultimately decided that I’d be a little more comfortable beginning with a short story. (Baby steps onto the bus.) A few very enjoyable hours perusing and researching in the library and I found a promising collection and it just so happens that my totally random system of selecting a starter story simply on the basis of the fact that a) I could read the title and the first sentence without a dictionary and b) it is only ten pages long worked out pretty well. I really like this story, guys, and I’m pleased that I’ll be spending my time on it this summer. The thing is, I (obviously) have no real method, or system. So I’ve been slowly troubling one out for myself. I started by reading the story through without any dictionaries or aids, and acclimated myself with the major plot points and character traits and features of the writing style. Now, I’m working through it more slowly, with dictionaries and whatever aids I can access myself, in the hopes of producing a rough but readable draft within the next few weeks. Then I’ll go over the story and my translation again, cleaning it up where I can and this time making notes of passages I think might be problematic, tonal inconsistencies, or turns of phrase which aren’t working quite right. Then, hopefully, I’ll find an obliging bilingual reader who can help me with some of these questions. And *then,* once I have a pretty solid draft, I’d like to contact the author, ask to talk through lingering questions with her, and see what she thinks of my eventually (with further proofing etc.) trying to get the translation placed in a journal or publication. I’m sure there will be some methodological (and timeline) revisions along the way, but it’s exciting to have a project like this, and great to be actually attempting to do what I came here to do! Before I left Iceland and finished my term as a Fulbright grantee, I was invited to participate in a presentation with my fellow Fulbrighters to present the work we had undertaken during our nine months in Iceland. My colleagues had a diverse range of interests, talents, areas of expertise and projects, ranging from poetry derived from Norse mythology to volcanic research, and child psychology to marine coastal management. Some of these projects are easier to quantify than others; for my part, I was a bit nervous that I’d need to stand up and talk to my audience in perfect Icelandic for 15 minutes straight in order to convey that I had actually been doing something all year. (Which, as I hope this blog indicates, I certainly had.) Instead of panicking (or attempting an oral presentation well outside of my abilities at that particular juncture in time), I decided to give a brief summary of my writing projects, my work on Little Free Library Reykjavík, and finally, to try my hand at a short translation from Icelandic to English. After all, that is my end goal. And I did read a great deal of children’s books this year for practice. So I took a book from one of my favorite children’s series, Skrímslapest, and translated it into English. Then I created a Reading Rainbow-style video where I read the Icelandic text over the English subtitles. It took me a whole day to create the video (I had to learn how to work with iMovie), but I was pleased with the final product and had a good time making it. I was lucky enough to meet the book’s illustrator and co-author, Áslaug Jónsdóttir, at an event this year, and not only did she generously introduce me to her writer’s group (who then generously donated books for Little Free Library Reykjavík), she also kindly gave me permission (along with her co-authors Kalle Güettler and Rakel Helmsdal) to post the video I made of my translation on Vimeo. So I am sharing the video with you all now (below). -The title, Skrímslapest is a combo word: skrímsli, or monster + pest, which can mean “disease, illness, or epidemic.” I decided to translate it as Monster Pox, because that had a nice ring to it, and in the pictures, it did look like the chicken pox, not some insurmountable monster-plaugue. -I was made aware of one mis-translation in the text, where I translate ís to “ice” instead of “ice cream.” For the record, if you want ice in your drink while in Iceland, the correct word is klaki. It did not occur to me to even look this word up when I was doing the translation—I assumed “ís” was ice because of “Ísland” (the Icelandic name for Iceland) and because it seemed to make some sense in context. I’ve left the error in the video because a) it would be very time consuming to fix, and b) it is a good record of my learning process. It is also a fair indication that this is not, by any means, a perfect translation. 1. þungarokk: this is a combo word, from þungur, or heavy, and rokk, or rock music. I opted to just refer to this as METAL! (caps to match the original text) in the text because that’s what my high school metalhead friends used to enthusiastically yell while headbanging or drumming on their chests at lunch time. Short and emphatic and to the point. Plus, “heavy metal” has too much of a moms-talking-about-the-kids’-music vibe to it, I thought. 2. hrútleiðinlegur: another combo, from hrútur, or ram, and leiðinlegur, a sort of all-purpose word for boring/tedious/dull and which is used for everything from a boring class to tiresome weather. I was absolutely delighted with the word “sheep-boring” (I’ve also heard “dog-boring”) and thought long and hard about coming up with some sort of fun, animal-themed, catchy word for super-boring in English. (I had a ton of excellent suggestions from my YA-author friend/mom of a toddler, too. So thanks for those, buddy!) In the end, I opted to just translate this awesome word as “TOTALLY BORING!” because it really didn’t sound like the kind of wordplay you get from kids in English, and who hasn’t heard a child refer to something as “totally” dull/lame/boring etc.? Also, the original book wasn’t going for super word play, either—it’s just a common expression in Icelandic. So there you have it. My first foray into literary translation, with its attendant debates. I hope you enjoy the video below (and share your thoughts on the translation, if you have them), but please do note that although I have permission from the authors to post this, it is still entirely their creation, and they retain all rights to its adaptations, translations, and dissemination. I spent some time writing a review of Andri Snær Magnason’s LoveStar yesterday (I’ll post it when it’s been published) and in the process, ran across two interesting articles. 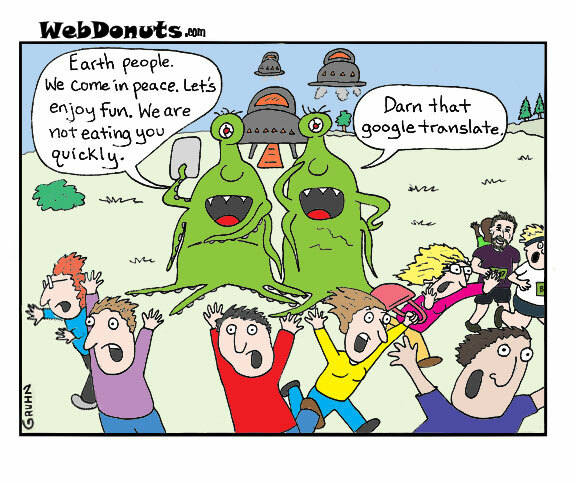 “I’m a linguist who stumbled accidentally into translation,” she added. When Cribb works on books with this “new” vocabulary, she has to rely on her own instincts as she says dictionaries are completely inadequate. Even the best translators need special skills—especially in areas like finance. Icelanders may have imported their banking fervor, but they made up local words to reference the sector. Like skuldavafningur. (That’s a collateralized debt obligation, to Americans.) Occasionally several people made up words. That explains why some Icelanders call a CDO a skuldabréfavafningur. Messier still were the many ways Iceland bailed out its underwater homeowners. 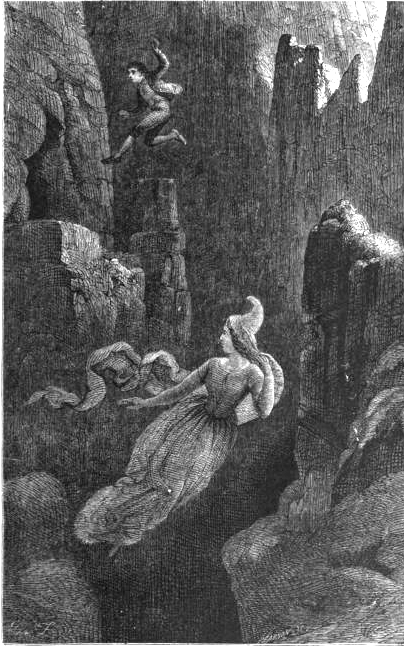 They might have gotten greiðsluaðlögun (payment mitigation), or greiðslujöfnun (payment smoothing), or skuldaaðlögun (debt adjustment), or skuldalækkun (debt reduction), or niðurfelling skulda (cancellation of debt). The list goes on. March’s issue of the Grapevine featured a review of a wonderful book by yours truly (I wrote the review, that is, not the wonderful book), which is now available online. 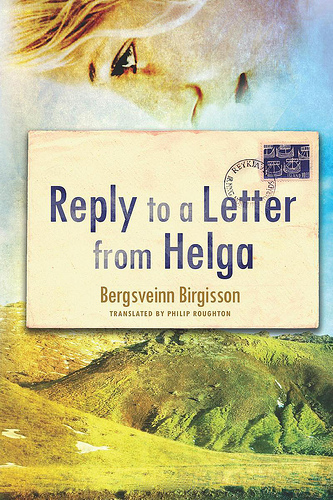 The book, Reply to a Letter From Helga, was written by Bergsveinn Birgisson, translated by Philip Roughton, and AmazonCrossing published the translation in January. It’s an epistolary novel, a love letter written by a man in his old age to the woman he loved in his youth. It is also a love letter to a way of life, a difficult and sometimes isolated way of life, farming in the country, but one in which relationships with nature and animals are just as important and often, just as fulfilling, as those that someone has with other people. It isn’t always an easy book, but it is a very moving one. The writing is spare and precise, the relationships painted are complex, and there are a few scenes which I think will stay with me for a very long time. 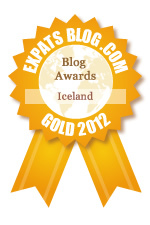 The Fabulous Iceland website has a short interview with the author online, here. The Chicago Tribune published a very positive review of the book by Beth Kephart, which has more plot details and quotes and comes at the book from a bit of a different angle than I did. An author bio is here on the literature.is website. Below is the start of my own review, you can see the full piece on the Grapevine website, here. A frank and poetic meditation on nature, relationships, and the choices that define us, Bergsveinn Birgisson’s Reply To A Letter From Helga paints an unflinching portrait of Bjarni, an elderly man on the verge of “the Great Relocation congenital to all men” who is ready to finally face the defining decision of his life and respond to a letter left unanswered for so many years. When, in his youth, his lover Helga offered him the chance to follow her to a new life in Reykjavík, Bjarni chose instead to remain on the farm which had been in his family for generations, choosing his love for the land over romantic love and companionship. This decision was, and remains, a fraught and painful one for him. Even so, he maintains a clear sense of pride throughout the novel, a strength of purpose which separates his story from more conventional narratives of love lost. “I thought of what kind of person I would become in Reykjavík,” Bjarni writes.